We started our trip with an all-night flight from JFK International airport to Istanbul, Turkey. Turkish Air was nice. Service was decent, food was not too shabby. Turkey is an interesting country in several ways. It’s the only country that is in both Europe and Asia. Its a natural land-bridge connecting both continents with the Black Sea to the north and the Mediterranean sea to the south. Small wonder its always been a prime trade route. The government is secular, but the dominant religion of the people is Islam (they are the only Islamic country with a gov’t that is not Islamic). And despite the overwhelming religious majority, they don’t read or write Arabic. 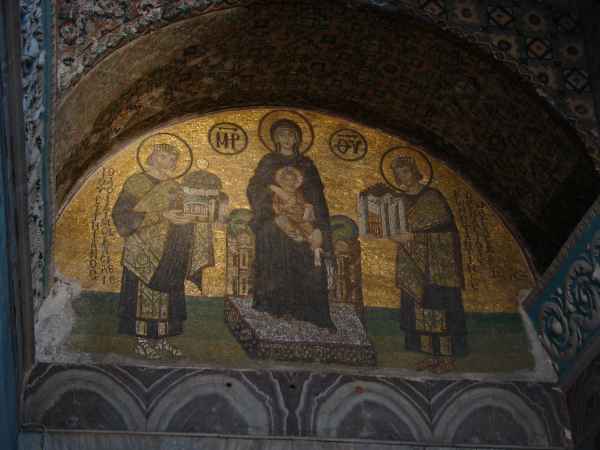 Over the past 2,000 years, the country has been ruled by Byzantines, Romans, Muslims, Crusaders, Turks and more. And the architecture of the countryside shows it. 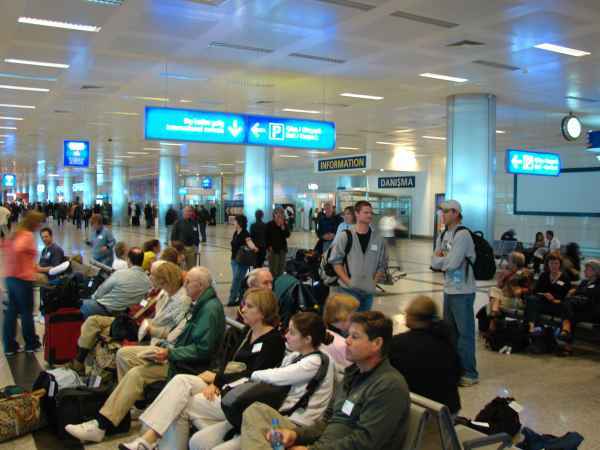 The tour group arrives in Turkey. 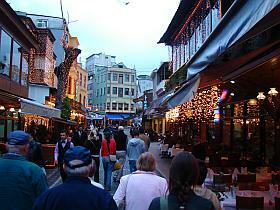 Our tour guide introduced Turkey as the “Second Holy Land”. I figured that was just a gimmicky title until he mentioned that Paul was from Tarsus (Turkey); that the Christians received that title in Antioch (Turkey); and that Paul travelled extensively in Turkey in his missionary journey. Hmmmm.I didn’t think that Turkey (or Istanbul) would factor greatly into Biblical history. Ya learn something new every day! When Emperor Constantine converted to Christianity around 325AD, he moved his capital from Rome to Byzantium and changed its name to Nova Roma (New Rome). The name didn’t stick. The people called it Constantinople. It was renamed Istanbul in 1929. Constantine’s mother converted to Christianity, and set out to locate holy places in Israel. 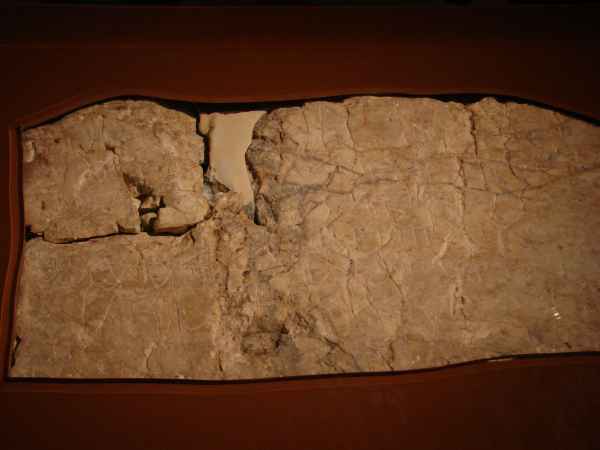 Throughout the years, various artifacts from the Holy Land eventually made their way back to Istanbul and are proudly on display at their main museum – like the Siloam Inscription. It’s a carving made by the men who dug Hezekiah’s Tunnel in 700BC. The tunnel was 1700ft long, cut through solid rock. It was done when Hezekiah knew that Sennacherib, King of Assyria, was headed to Jerusalem to conquer it. The tunnel was dug in order to pipe water from the Gihon Spring into the city wall. It’s considered to be one of the best water engineering feats of the pre-Classical period. Find more at Chronicles 32. 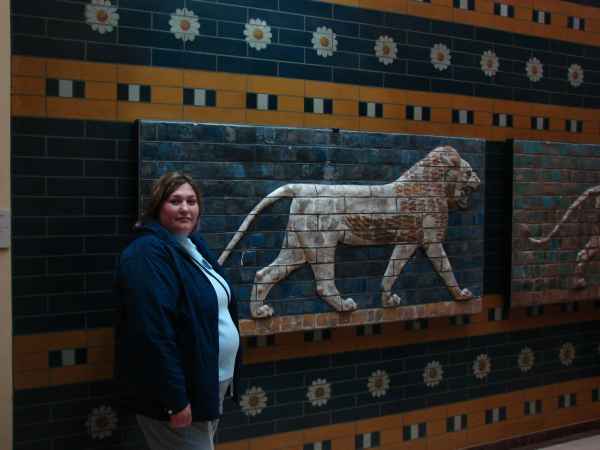 Also at the Istanbul museum is a piece of Ishtar’s Gate. 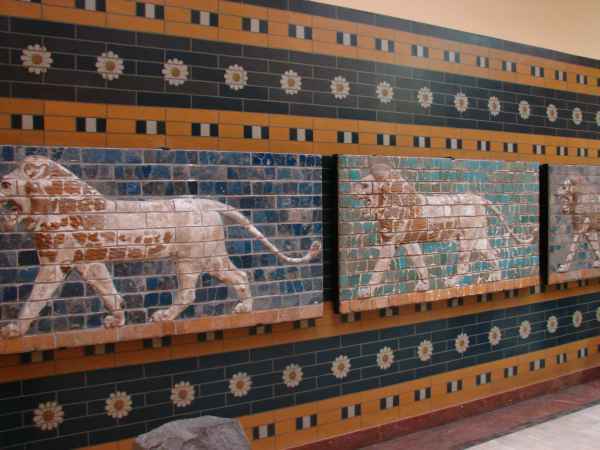 Built in 575 BC, it was one of eight inner gates for the city of Babylon. It’s considered to be one of the most impressive pieces of architecture from the ancient Near East. Kinda weird to think that Israelite captives, including Daniel and Ezekiel, walked under these very tiles almost 2,500 years ago! Sheryl’s studying Daniel right now. How apropos. 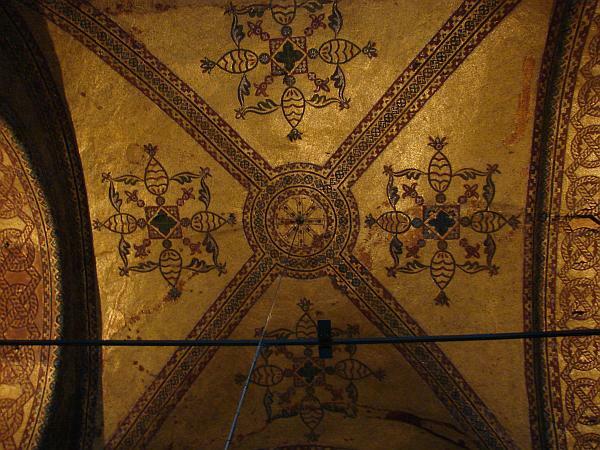 The Hagia Sophia is one of the largest churches in the world, and a classic example of Byantine architecture. 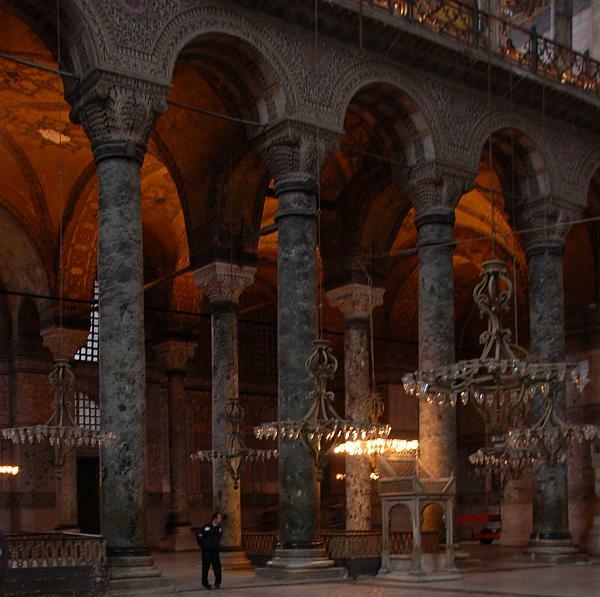 Originally built by Constantine, it was destroyed twice before being recreated for a third time by Emperor Justinian I in 532. It took 5 years to build at a cost of billions of US dollars (in today’s money), and remained the largest church in the world for almost 1,000 years. 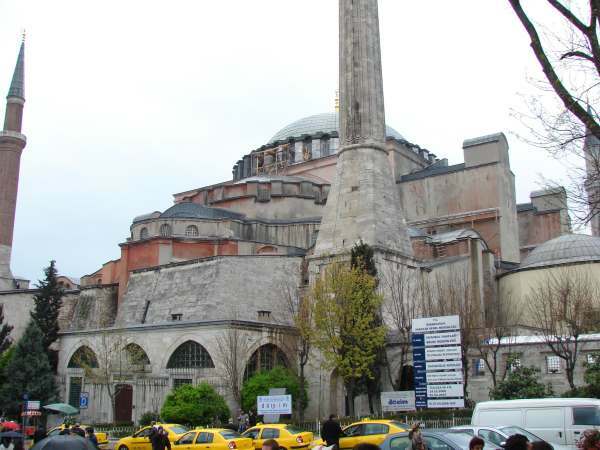 It’s so popular, it appeared in a James Bond movie (From Russia With Love).When the Turks conquered Istanbul in 1435, they converted it to a mosque and, as is their custom, removed all faces from the icons inside. When Turkey became independent in 1935, it was converted to a museum. For some reason, this painting on one of the ceilings stayed intact. I forget why our tour guide said it wasn’t de-faced. Either it was painted over and then recently restored, or was skipped in the process. 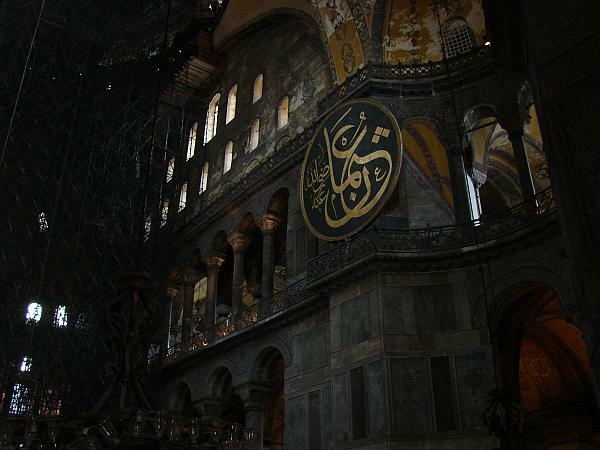 The Hagia Sophia is huge. This railing on the top of the photo is only ~50′ off the ground, but not even 1/2 way to the ceiling. Oh.. and I didn’t see the fish and cross in the patterns unless I squinted, turned my head, and stood on one leg. I forget what this urn was for. 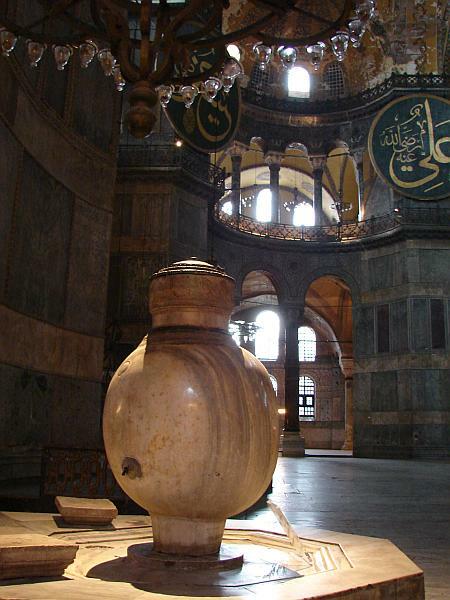 The muslims made it into an urn for washing hands. 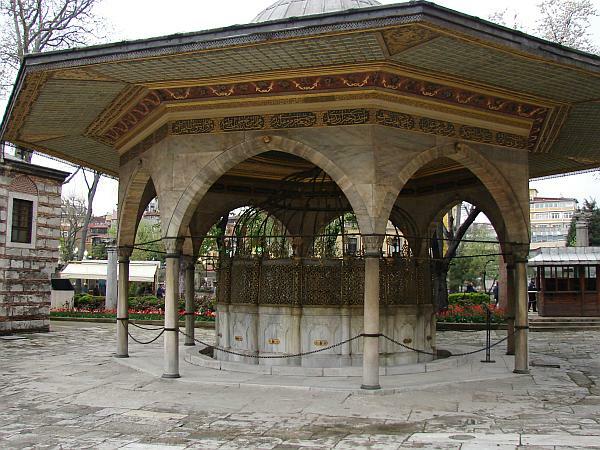 Here’s a location outside the Hagia where people would wash before entering. 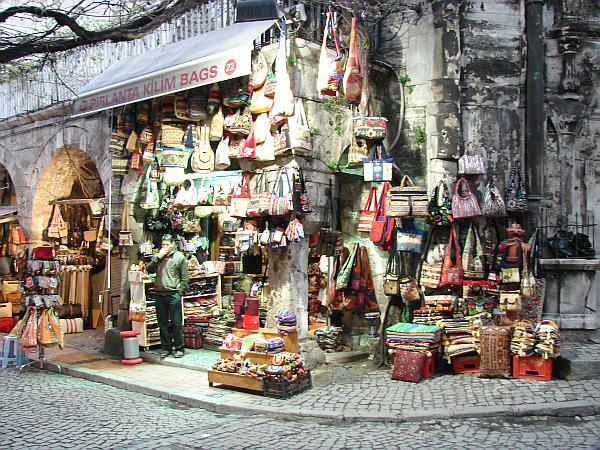 Down the street from the Hagia Sophia is the Turkish Bazzar. 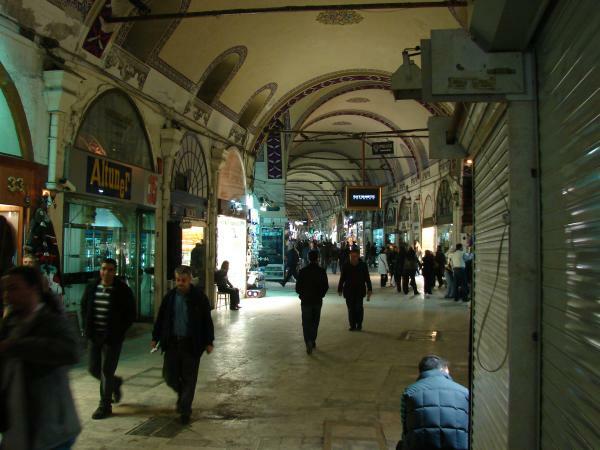 About 4,000 shops out here on this one street alone.In this photo, you have a Constantine-era gate on the right and a 21st-century shop of cheap bags on the left. An interesting ‘east meets west’ irony. I don’t know how large or long this building was, but we didn’t have time to walk the length of it. It went on further than my eye could see. Each shop was maybe 20×40, and many were smaller than that. Every now and then, there would be an ‘alley’ off to the right or left with more shops. All under one roof. Or maybe several roofs. It was hard to tell. 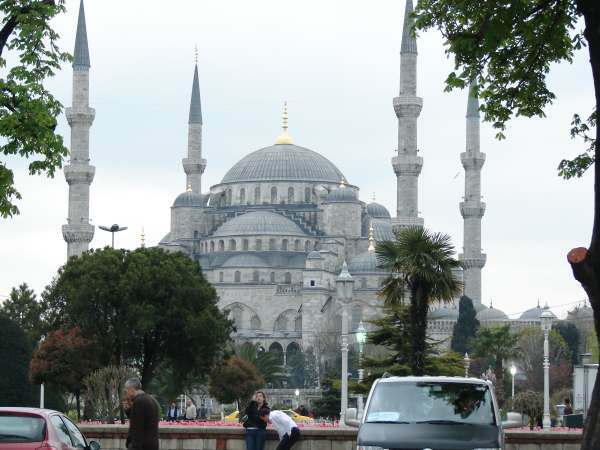 The Blue Mosque looks a lot like the Hagia Sophia. To me. They’re practically across the street from each other. 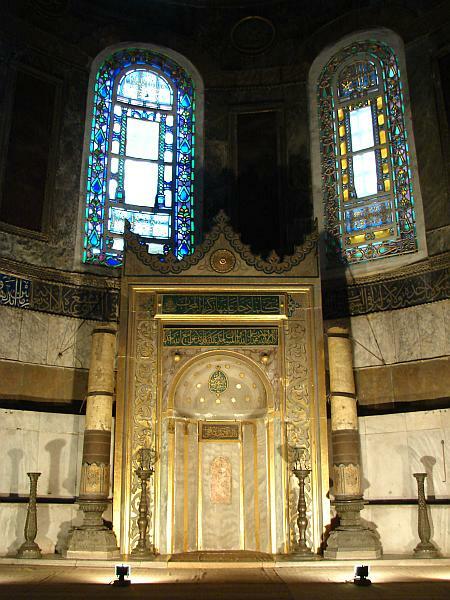 We didn’t go in it.We also visited Topkapi Palace and got to see some gems from Sultan Topkapi – or whoever he was. Interesting. There were all sorts of architecture, walls and ruins that dated back to the crusader period and the Byzantine period (350AD – 600AD). Pretty wild! 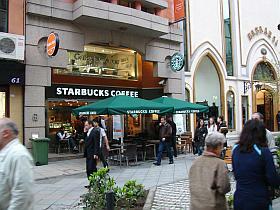 No matter where you are, you’re never far from a Starbucks.We stopped for dinner at a restaurant in a crowded street of restaurants. I thought our guide said he’d have the cook remove the fish heads before serving them. 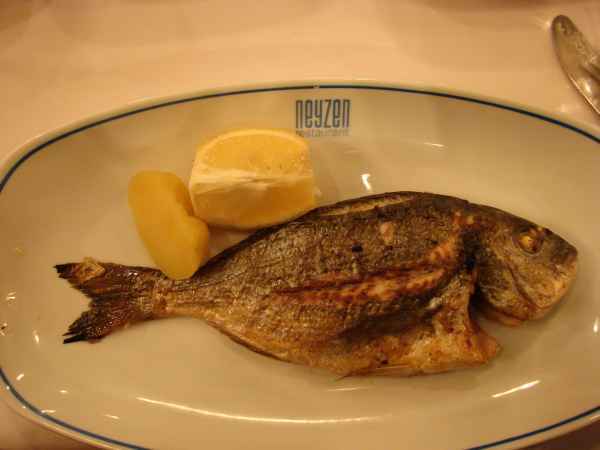 I guess not.Even if the bones were removed, I don’t think the fish would’ve tasted better. I had the feeling it was getting the last laugh on me. I figure our tour guide got a cut from the restaurant for bringing us there. That’d help explain why our restaurant was jam packed with at least one other tour group and the other restaurants on that block were essentially empty. *sigh*.